Exterior picture of the new pump house with the pump inside. 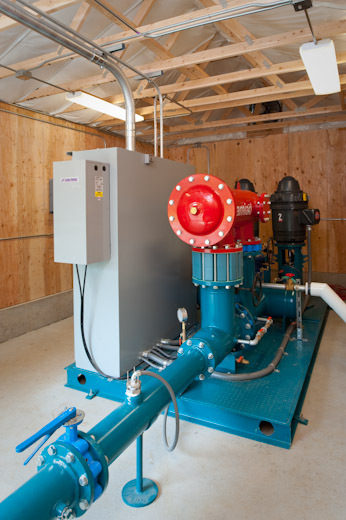 This project entailed the purchase and installation of a Flowtronex pump to irrigate the entire Bellevue Golf Course. 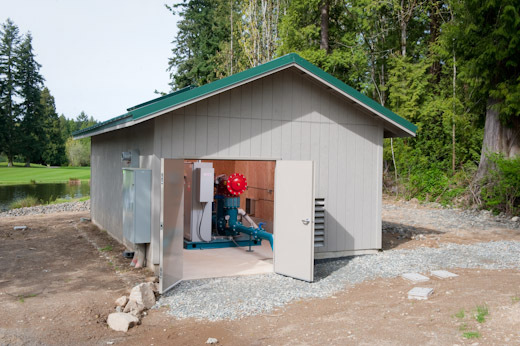 A pump house was constructed over an existing wet well, the pump was installed and hooked up to the existing system, the electrical system and controls were installed and controls were ran back to the maintenance facility.